Can you give $5, $10, $25 or $50. Any and all donations are greatly appreciated. Please connect to our website today by clicking here. Your generous gifts are greatly appreciated! Democrats celebrating their victories have an opportunity to build on the momentum with a common-ground, whole-life agenda. As the rural-versus-city divide sharpens, Democrats might consider returning to their base message of protecting Social Security and Medicare, demanding a livable wage, and bringing down the cost of health-insurance premiums and prescription drugs. In rural America, the fear of immigrants is palpable. Democrats might respond with an immigration policy that protects our borders and provides compassionate solutions for people who have entered the country illegally and for those seeking asylum in the U.S. Finally, to win the hearts and minds of rural Americans, Democrats might consider a consistent message on human rights, which means protecting everyone from violence -- including pregnant women and their unborn children -- and supporting families with a national insurance program for paid parental leave. Democrats must take a close look at what kind of candidates and what messages won in tough districts and then promote that agenda nationally. The American people want bi-partisan cooperation and leadership. Leading is harder than resisting. Democrats should take this opportunity, or we could face six, not two, more years of President Trump. T HANK YOU JOE DONNELLY! This is a sad time because we lost one of our great “pro-life for the whole life” Democrats, Senator Joe Donnelly of Indiana. Senator Donnelly has a consistent pro-life record, including voting to prohibit abortion after 20 weeks and voting against the use of human embryos for research; and he led efforts during the health-care-reform debate to pass the Stupak/Pitts Amendment, which prohibited federal funding of abortion in the health-insurance exchanges. 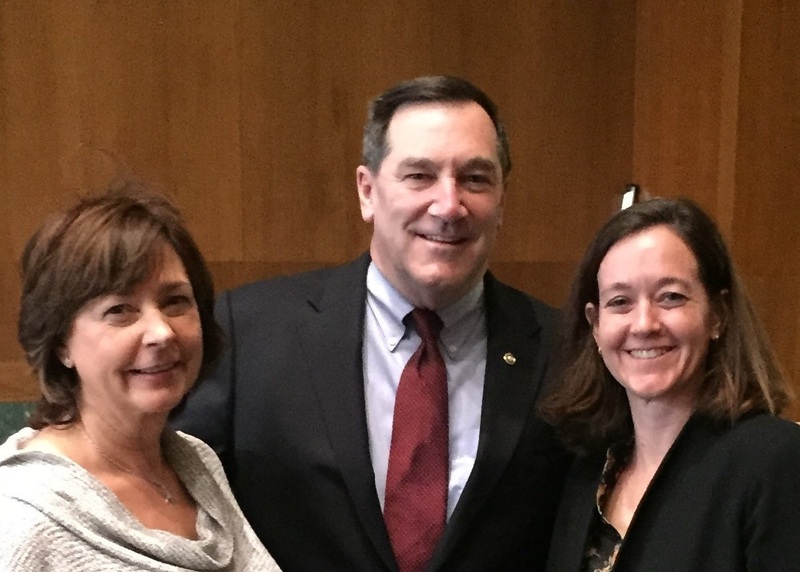 Senator Donnelly also supported legislation to prohibit transporting a minor across state lines for an abortion. Additionally, Joe advocated for the Pregnant Women Support Act, which provides help to pregnant women so that they do not see abortion as their only choice. The state of Indiana was one of 17 states that received funds under the pilot program. The $2 million grant is being used to reduce abortions among teens and also to establish a public-awareness campaign so that women will know where to go for support to carry their pregnancies to term instead of seeking an abortion. We are grateful to Joe for his service to his state and our nation, and we, along with pro-life Americans across the country, will miss his leadership. In the past week, almost 100 new members signed up for our newsletter! This is great news! If you like what we do, please also sign up for a membership. We can only continue to support our cause with your financial support. A bright spot this election cycle is the election of Ben McAdams in Utah’s 4th Congressional District. Twice elected the mayor of Salt Lake County, McAdams may be the kind of Democrat we need. He has a history of bringing people together to provide solutions. On his campaign website, he stressed his bipartisan cooperation. We welcome Ben McAdams to the nation’s Capitol.